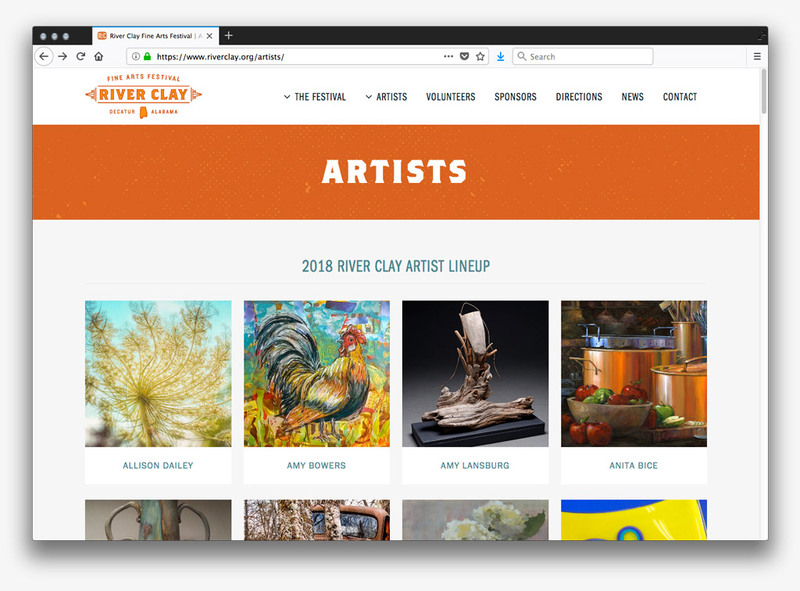 River Clay Fine Arts Festival is excited to announce the 2018 artist lineup! Out of the many applicants for the festival, jurors selected 76 talented artists for the two day event. Local, regional and national artists hailing from 11 different states will show their creations this September 22 – 23 at City Hall Lawn in historic Downtown Decatur, AL. Make plans to join us and buy art! Also don’t forget River Clay Rendezvous – An Art Preview Party happening Friday, September 21.